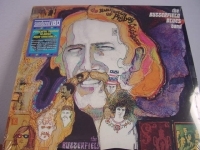 180 Gram Vinyl - items 400 to 425 Shop MyMusicFix!! 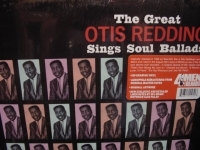 "Oscar Peterson Trio, The Lost Tapes"
"Otis Redding, The Great Otis Redding Sings Soul Ballads - 180 Gram"
"Otis Spann, The Biggest Thing Since Colossus"
180 Gram Limited Edition Analog Virgin Vinyl. 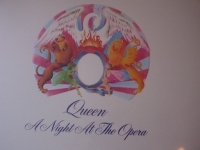 Remastered by Ray Staff from the original quarter-inch analog master tapes and pressed at Pallas in Germany. The famed "Chess Sessions" between Mac and Otis Spann was such that they recorded another whole album together Tracks Include: "The Biggest Thing Since Colossus." 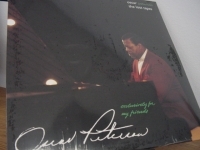 Otis Spann is his usual emotive and exciting self, feeling totally relaxed alongside his regular drummer, S.P. Leary. This coupled with Peter Green's guitar playing, which is probably at its peak on these recordings, makes for a blue album of substance. One of the mostunderrated blues albums. Long out of print. "My Love Depends on You" "Walkin'" "It Was a Big Thing" "Temperature Is Rising (100. 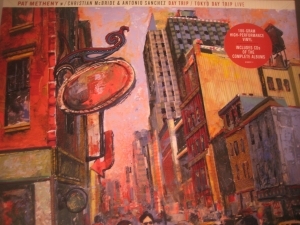 2 F)" "Dig You" "No More Doggin'" "Ain't Nobody's Business" "She Needs Some Loving" "I Need Some Air" "Someday Baby"
"Pat Metheny, All the Things You Are [LIVE] (2 LPs)"
180 Gram Limited Edition Analog Virgin Vinyl. Tracks Include: "Instrumental - Pat Metheny" "Sassy Samba - Heath Brothers" "Artherdoc Blues- Heath Brothers" "Move to the Groove - Heath Brothers" "All the Things You Are - Heath Brothers" "Tones for Joan's Bones - Sabu Adeyola" "Autumn Leaves - Pat Metheny" "My Foolish Heart - Pat Metheny" "No More Blues (Chega de Saudade) - Pat Metheny" "This Night Has a Thousand Eyes - Pat Metheny" "African Flower - Pat Metheny"
"Pat Metheny, Christian McBride & Antonio Sanchez, Day Trip - Tokyo Day Trip Live - 180 Gramd 3 LP Set with CDs"
"Paul Butterfield Blues Band, East-West - 180 Gram"
PAUL BUTTERFIELD BLUES BAND - EAST/WEST - WITH MIKE BLOOMFIELD - 180 Gram Limited Edition classic LP high-definition Virgin Heavy Vinyl pressing for superior fidelity to upgrade your vinyl collection. 1ST EDITION SUNDAZED 2001 RELEASE WITH THE 180 GRAM BLUE AND YELLOW STICKER ATTACHED TO THE PLASTIC WRAP ONLY AVAILABLE ON THIS ORIGINAL 180 GRAM VINYL EDITION LP PRESSING - WE FOUND ONE LAST COPY IN THIS HEAVY VINYL 180G GRAM ORIGINAL EDITION STICKER PRESSING. COLLECTORS NOTE: THIS IS THE SUNDAZED 1ST EDITION HEAVY VINYL 180 GRAM LP WHICH INCLUDES THE ORIGINAL MARKETING STICKER FOR THEIR 180 GRAM VINYL EDITION. SUNDAZED RECORDS HAD THESE STICKERS ON THEIR LIMITED EDITION 180 GRAM WEIGHTS BEFORE THEY WENT TO PRESSING THEM IN THE 150 GRAM WEIGHT IN THEIR NEXT GENERATION DURING OUR 1ST OIL CRISIS. 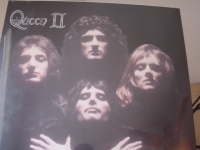 NOW I'VE HEARD THAT THEY ARE PRESSING SOME EDITIONS BACK IN A NEW GENERATION AGAIN IN 180 GRAM. 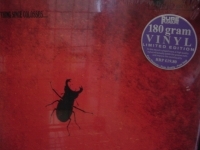 BUT THIS ITEM HAS THE ORIGINAL MARKETING STICKER ON THIS 180 GRAM EDITION PRESSINGS. COLLECTORS SEEK OUT ORIGINAL EDITIONS WITH ORIGINAL STICKERS AND YOU SHOULD NOT MISS THIS 180 GRAM WITH THE ORIGINAL MARKETING STICKER 180 GRAM VINYL EDITION WHICH DATES BACK BEFORE THE 150 GRAM RELEASES AND THEIR NEW 180 GRAM RELEASES. Wielding a harmonica honed under the supervision of South Side Master, Paul Butterfield, popularized Electric Chicago Blues in the mid-sixties with the simply effortless ability to capture the spirit of Little Walter and Muddy Waters without copying their exact wording. 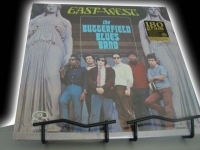 THE PAUL BUTTERFIELD BLUES BAND'S second album EAST/WEST (originally released in 1966) is less hidebound stylistically than their first album and uses modern jazz and Indian Music forms that encourage extended improvisations by guitarist, Mike Bloomfield, and stretches the boundaries of Blues. 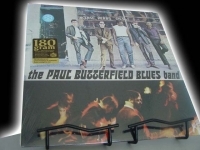 But while EAST/WEST and a cover of Cannonball Adderley's WORK SONG ventured in new directions, Butterfield & Company remain rooted in solid Chicago Blues. Songs include WALKIN' BLUES - GET OUT OF MY LIFE WOMAN - I GOT A MIND TO GIVE UP LIVING - ALL THESE BLUES - MARY MARY - TWO TRAINS RUNNING - NEVER SAY NO. 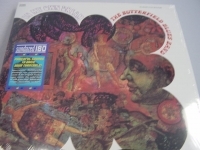 "Paul Butterfield Blues Band, In My Own Dream - 180 Gram - First Edition"
"Paul Butterfield Blues Band, Paul Butterfield - 180 Gram - First Edition"
"Paul Butterfield Blues Band, The Resurrection of Pigboy Crabshaw - 180 Gram - First Edition"
"Paul McCartney, Chaos & Creation In The Back Yard - 180 Gram - EuroSealed - Double LP"
"Paul McCartney/ Wings, Band on the Run (2 LPs) - 180 Gram"
180 Gram Limited Edition Analog Virgin Vinyl "Out of Print". 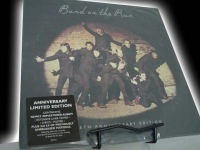 It's a 25th Anniversary Limited Edition Pressing of McCartney and Wings Classic Album - "Band On The Run" which includes extensive Liner Notes, Lyrics, Poster plus a second LP of previously unreleased material featuring alternate versions and special interviews on the making of "Band On The Run". Tracks Include: "Band On the Run" "Jet" "Bluebird" "Let Me Rock It" and more! You will be one of the last people in the world to own this now rare out of print masterpiece of double heavy 180 gram vinyl. 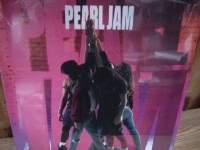 "Pearl Jam, Ten - 180 Gram LP - SOLD OUT"
180 Gram Limited Edition Analog Virgin Vinyl Numbered Edition, Remasterd by Steve Hoffman. Tracks Include: "Why Don't You Do Right(Get Me Some Money Too)" "Don't Smoke In Bed" "It's A Good Day" "Alright,Okay,You Win" "Golden Earrings: :Hallelujah,I Love Him So" "Fever" "I Don't Know Enough About You" "Them There Eyes" "While We're Young" "Manana(Is Soon Enough For Me)" "My Man" "Unforgettable" "You Don't Know" "I'm A Woman". 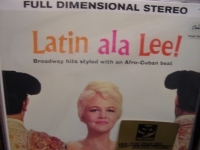 "Peggy Lee, Latin Ala Lee"
180 Gram Limited Edition Analog Virgin Vinyl Numbered Edition in the 80's, Remasterd by Steve Hoffman. Tracks Include: "Hearth" "On The Street Where You Live" "Till There Was You" "I Am In Love" "Hey There" "I Could Have Danced All Night" "The Surrey With The Fringe On Top" "The Party's Over" "Dance Only With Me" "Wish You Were Here" "C'est Magnifique" "I Enjoy Being A Girl" "From Now On" "Ole" "Sweet Happy Life". 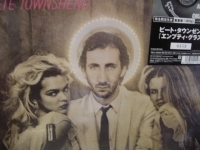 "Pete Townshend, Empty Glass - Low Numbered"
Pete Townshend - EMPTY GLASS - This Limited 1st Edition 1st Generation Audiophile 180 GRAM ANALOGUE LP (from the Original Session Tapes) was mastered by IMPERIAL RECORDS JAPAN. THIS TITLE IS OUT OF PRINT AND WAS LIMITED TO 1000 COPIES & EACH LIMITED EDITION INDIVIDUALLY NUMBERED & THIS TITLE IS LOW NUMBERED 50 OR BELOW. 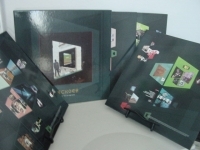 These FOREIGN pressings are sent with the vinyl outside of the jackets when being shipped to the U.S. to protect the covers from damage. Once inside the our wherehouse we then protectively seal the title in a loose re-sealable plastic cover to ensure the quality of the product. This title is brand new & never played condition. Don't Miss out. "...his first solo album since Who Came First, a vanity project released to little notice around Who's Next (so limited in its distribution that Empty Glass seemed like his solo debut). 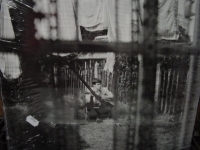 Some of the songs on Empty Glass would have worked as Who songs, yet this is clearly a singer/songwriter album, the work of a writer determined to lay his emotions bare...Empty Glass remains one of the highlights of Townshend's catalog and is one of the most revealing records he cut, next to his other breakdown album, Who By Numbers." - All Music Guide Track Listings Rough Boys I Am an Animal And I Moved Let My Love Open the Door Jools and Jim Keep on Working Cat's in the Cupboard Little Is Enough Empty Glass Gonna Get Ya International Buyers - Please Note: Import duties, taxes, and charges are not included in the item price or shipping cost. These charges are the buyer's responsibility. Please check with your country's customs office to determine what these additional costs will be prior to bidding or buying. Note: It's illegal to falsify customs declarations or mark an item as a "gift" in order to avoid customs fees INTERNATIONAL BUYERS NEED TO BE AWARE OF THE CUSTOM'S TAXES IN THEIR OWN COUNTRY AND KNOW THEY (AS THE BUYER) ARE RESPONSIBLE FOR CUSTOMS TAXES. OUT OF PRINT PRODUCT is IRREPLACEABLE and therefore NOT RETURNABLE. USA SHIPPING: We box/package protectively - Ship UPS Ground/Insured within Continental USA - Hawaii/Alaska by mail. We accept PayPal ONLY WITH CONFIRMED SHIPPING ADDRESS INT'L SHIPPING: We box/package protectively for safe world-wide shipping. When accepting PayPal, ship ONLY WITH EXPRESS MAIL FULLY INSURED or PRIORITY MAIL FULLY INSURED - Because of Postal Regulations, U.K., CHILE & MEXICO EXPRESS ONLY if over $80.00. International Buyers are responsible for their country's Customs Fees. 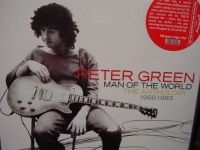 "Peter Green Tribute, Man Of The World (2 LPs)"
180 Gram Limited Edition Analog Virgin Vinyl by Audio Fidelity (audiophile LP remasterd by Steve Hoffman). Artists and Tracks Include: Billy Sheehan "Oh Well" - Rory Gallagher "Showbiz Blues" - Arthur Brown "The Green Manalishi" - Snowy White "Looking For Somebody" - Lonesome Dave Perverett "Love That Burns- Vince Converse "Rattlesnake Shake" - Harvey Mandel "Ramblin' Pony" - Lonesome Dave Peverett "If You Be My Baby" - Southside Johnny "Baby When The Sun Goes Down" - Larry McCray "Black Magic Woman" - Savoy Brown "Stop Messin'" - Paul Jones "Albatross" - Rory Gallagher "Leaving Town Blues" - Ian Anderson "Man Of The World"
"Peter Green, Man Of The World - The Anthology (2 LPs)"
180 Gram Limited Edition Analog Virgin Vinyl. Peter Green is considered one of the most influencial white guitar players of all time, or of any race for that matter. This album features much of his greatest work during his 1968-1970 Fleetwood Mac period, including some gems such as "Black Magic Woman" and some fantastic live tracks. Tracks Include:"Man Of The World" "Long Grey Mare" "Fast Talking Woman Blues" "Jumping At Shadows - Live" "Black Magic Woman - Live" "Showbiz Blues" "Uranus" "Oh Well -Live" "If You Let Me Love You - Live" "Lazy Poker Blues" "The Green Manalishi" "A Fool No More" "Tribal Dance" "Apostle" "Cryin' Won't Bring You Back" "Whatcha Gonna Do?" 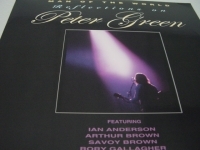 "Lost My Love" "Shining Star" "Big Boy Now" "Same Old Blues" "Bandit" "What Am I Doing Here"
"Peter Green, Man of the World Reflection 180 Gram Double LPs"
"Peter Green, The Best of Peter Green's - The Anthology Man Of The World 1968-1983 - 180 Gram Double LP"
"Pink Floyd, Dark Side Of The Moon (30th Anniversay LP)"
180 Gram Limited Edition Analog Virgin Vinyl - Original Packaging w/ sticker & posters included, voted the #51 rock & roll album of all time. "Dark Side of The Moon" was the bands most successful album and bridge across the pond to American sales. The album remained in the top 200 album charts longer than any other release in history and continues today to find fans as new generations rediscover its genius. 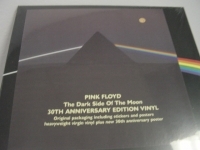 Contains the hit single "Money"
"Pink Floyd, Echoes (4 LP Box Set) - 180 Gram"
180 Gram Limited Edition Analog Virgin Vinyl "Last Copy". Tracks Include: "Astronomy Domine" "See Emily Play" "The Happiest Days Of Our Lives" "Another Brick In The Wall" "Marooned" "The Great Gig In The Sky" "Echoes" "Hey You" "Set The Controls For The Heart Of The Sun" "Money" "Keep Talking" "Sheep" "Sorrow" "Shine On You Crazy Diamond" "Time" "The Fletcher Memorial Home" "Comfortably Numb" "When The Tigers Broke Free" "One Of These Days" "Us And Them" "Learning To Fly" "Arnold Layne" "Wish You Were Here" "Jugband Blues" "High Hopes" "Bike"
"Procol Harum, Whiter Shade of Pale - 45 speed 12 inch single stereo 180 Gram LP - CURRENTLY SOLD OUT"
PROCOL HARUM - 180 gram Super Vinyl 12 INCH SINGLE STEREO LP pressing - This pressing with the 45 included went immediately out of print. Enjoy being one of only a FEW people to own this Limited Edtion ORIGINAL CLASSIC RECORDS audiophile pressing. 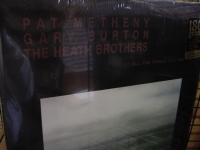 This Limited Edition Audiophile Mastered LP (from the Original Session Tapes) was mastered by Classic Records. Factory Sealed OUT OF PRINT Audiophile 180 Gram 12" Single STEREO Limited Edition Analog Virgin Vinyl direct from the original master tapes. 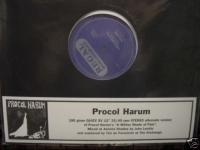 This Single has this song in both 33&1/3 speed as well as an audiophile 45 speed comparsion. 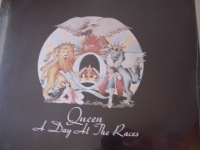 "Queen, A Night At The Opera - 180 Gram LP"
"Queen, Day At The Races - 180 Gram LP"
"Queen, Queen II - 180 Gram LP"